"What you see here, what you hear here, what you do here, let it stay here." In November 1944, eighteen-year-old June Walker boards an unmarked bus, destined for a city that doesn't officially exist. Oak Ridge, Tennessee has sprung up in a matter of months-a town of trailers and segregated houses, 24-hour cafeterias, and constant security checks. There, June joins hundreds of other young girls operating massive machines whose purpose is never explained. They know they are helping to win the war, but must ask no questions and reveal nothing to outsiders. The girls spend their evenings socializing and flirting with soldiers, scientists, and workmen at dances and movies, bowling alleys and canteens. 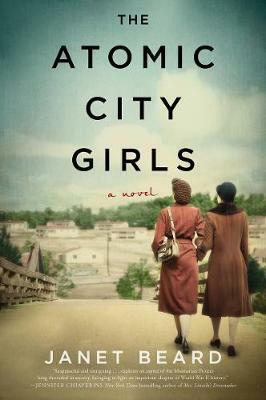 June longs to know more about their top-secret assignment and begins an affair with Sam Cantor, the young Jewish physicist from New York who oversees the lab where she works and understands the end goal only too well, while her beautiful roommate Cici is on her own mission: to find a wealthy husband and escape her sharecropper roots. Across town, African-American construction worker Joe Brewer knows nothing of the government's plans, only that his new job pays enough to make it worth leaving his family behind, at least for now. But a breach in security will intertwine his fate with June's search for answers. In November 1944, eighteen-year-old June Walker boards an unmarked bus, destined for a city that doesn't officially exist. Oak Ridge, Tennessee, has sprung up in a matter of months--a town of trailers and segregated houses, twenty-four-hour cafeterias, and constant security checks. There, June joins hundreds of other young women operating massive machines whose purpose is never explained. They know they are helping to win the war, but must ask no questions and reveal nothing to outsiders. The girls spend their evenings socializing and flirting with soldiers, scientists, and workmen at dances and movies, bowling alleys and canteens. June longs to know more about their top-secret assignment and begins an affair with Sam Cantor, the young Jewish physicist from New York who oversees the lab where she works and understands the end goal only too well, while her beautiful roommate Cici is on her own mission: to find a wealthy husband and escape her sharecropper roots. Across town, African American construction worker Joe Brewer knows nothing of the government's plans, only that his new job pays enough to make it worth leaving his beloved family back home in Alabama, at least for now. But a breach in security will intertwine his fate with June's search for answers.